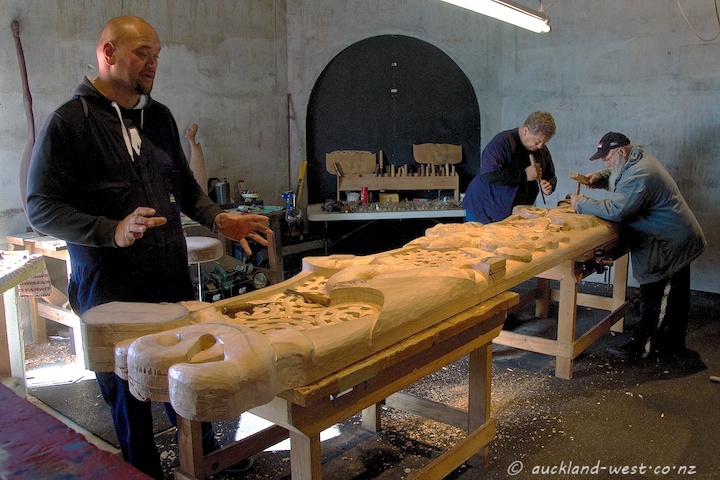 … is the timber (kauri, sourced from West Auckland) which is transformed by master carvers into a door lintel which will take its place in the new Auckland Council Civic Building in Albert Street (see my post April 3, 2015). 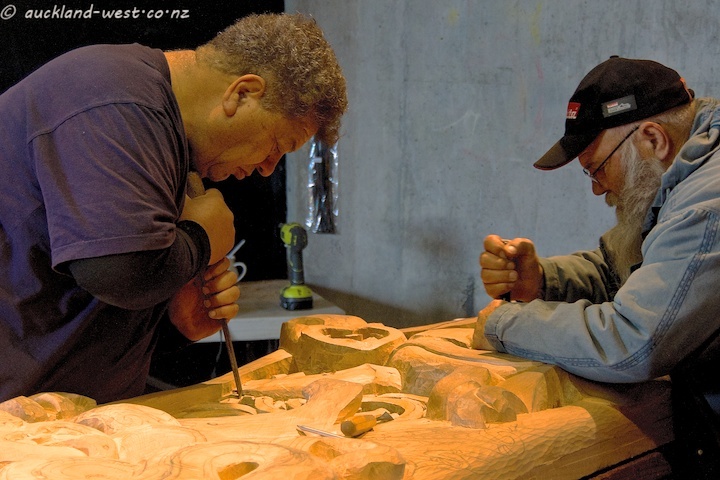 The 19 iwi (tribes) of the Auckland region are represented in the project by six carvers. 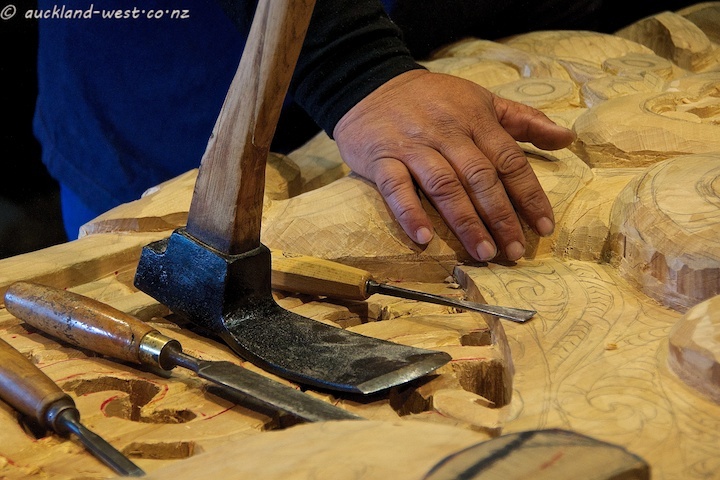 Three of them were present when I visited Silo 6 at the Wynyard Quarter last weekend: Sunnah Thompson (Te Waiohua), Vern Rosieur and Ian Strongman (Ngati Wai, Ngati Manuhiri). More of Sunnah Thompson’s work on this blog.